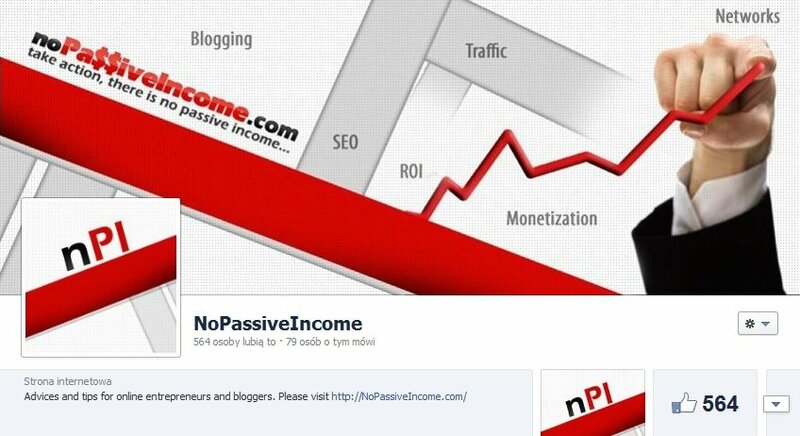 In this post I’ll show you, how I got 550 likes for my website (nopassiveincome.com) in two days. First of all I want to mention that all Facebook users which liked my FB page are real users, which are interested in blogging and passive income. So no “fake” users, “black hat” users or even bought users. You can put here whatever you want – pictures, articles (notes), links, questions, videos. Important thing here is to mix various types of content. It’s very simple – you have a lot of regular readers, Twitter followers, email subscribers, or even friends on Facebook or on other social networks. Just ask them to like your FB page. People like contests. You can offer some prizes like ebooks, wallpapers or even money. But remember – contests on FB should be run only via 3rd part apps (it’s on Facebook rules). You can link to your FB page from your own page, blog, email signature, twitter account or even from your guest post. But don’t overuse it. If you have time, you can actively participate in related groups on Facebook. It really works – but a lot of time is needed to see effects. Prepare awesome image with call to action inside this image. It also works for infographics. It is very simple – you like someone’s page and in exchange you get like from him/her. Of course Facebook propose higher price for one click (for me it was 0.5-1.2$) but you can change it and set a price you can afford. -Each Facebook page, which has more than 400 likes, can promote (for 5$ or 10$) their last post among their fans. It is also one way to reach more likes for your page. I didn’t try it yet, but I definitely plan to do it in the next few months. Facebook is the big question i couldn’t able to grab maximum likes its working very slowly help me in increasing the like.. When you talk about social networking the first thing you think about is Facebook. With more than 500 million profiles Facebook is one of the largest social networks in existence. That’s why you need to create a fan page and work to get a solid base of fans. These tips will help you get more likes! Great tips cheers mate! I am a bit optimistic, but will see how it goes! Thanks! how your Facebook fan page going? Getting new likes thanks to these tips? Good list for increasing Facebook traffic, especially I’ll try to join as much as Facebook groups in my local area, thanks! Local marketing can be really effective. Contest and giveaway can help you with that. your article proved to be beneficial for me . i didn’t know about this but now i think it could help me a lot to increase my website traffic. traffic is very essential for the websites so i think everyone should accept these points. 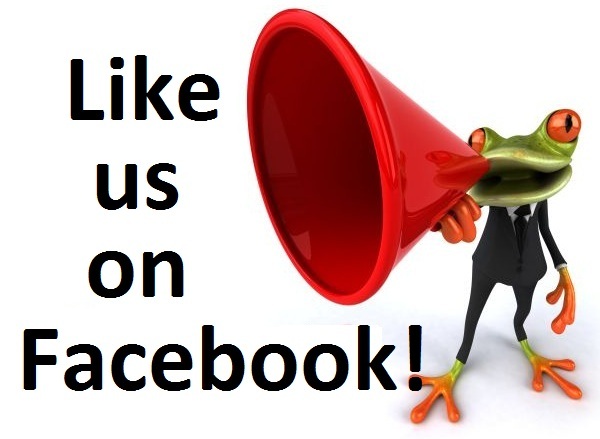 Facebook fan page can help you bring more traffic to your blog. Getting new likes will help you get more readers! This is definitely a hot topic. I just started a Facebook page and have about…4 likes so far I believe, so I’m so glad I came across this post. I didn’t even consider offline ways of promoting your page, so that’s a swell idea! Thank you for all of this great information. Long time without hearing from you. How is your Facebook fan page going? Every business want to their page on Facebook. The next step is fan page creation and get the likes. This likes are getting more difficult for me. Now you have given the idea how to get the ideas. Thanks to you. Thanks for your comment Oliver. Be sure to apply these tips to get more Facebook likes! Thanks for sharing this information. That was really stunning for me which made to click and read this article. Getting 550+ likes in 2 days is not so easy but you have done it. All over, you have shared all the methods which you implemented to get it. Surely, I will try these and soon will get more likes to my page also. appreciate your visit and comment here. Everyone wants maximum likes for their post on Facebook. Your ideas really make sense. Thanks for the kind feedback, Devesh. I must try this idea for my facebook fan page likes. I have seen some peoples are creating so many accounts and so the likes each other. is it good or bad ?. one more thing i have watch one fan page which is increasing every refresh my browser increase one like. How is it possible. Please Let me know how is it possible. They can be discovered, sooner or later. I think advertising on facebook and writing how to get likes (after purchasing some likes, it proves that your article is valid) are the best methods. One of the method is facebook like popup. The popup can help you turn 5% visitors into fan. thanks for confirming the suggestions mentioned here. As per pop-ups, I don’t like them, honestly. But I admit they can bring some effective results (thus, you need to face the issue of losing some readers/visitors). Nice tips, I will try them out. though i usually invite my friends to like my page. never had success with Facebook ads too. Follow the tips mentioned in the post to get more likes! Ya facebook is now ruling the world…. It seems a bit exaggerated. I really love this post. Love the way you write your posts. The information in this article is really unique and useful for me. After reading this article, I think I have some ideas for myself. I do follow your articles recently. Thanks for sharing this post. Hope to read more interesting information from you. Have a nice day. Facebook Is the Finest Source and big Platform to get & capture the Highly traffic and Amazing Task to Increase the like`s of your Fan Pages this is not a simple but quite difficult.I have also some plan to using Some Facebook Coupon Option To promote my Site Page.Thank you for all of this Information. Glad you liked the tips, Jahnavi. Truly, you have said it all Erik, but i would consider exchange sites like YoulikeHits, Addmefast as they also help boost facebook likes too, Thanks for the share. Social signal exchange sites, still an alternative. Thanks for mentioning them, Babshaybell. Awesome tips. 500 likes in 2 days is really a good count for a beginner. Glad to hear you enjoyed the post, Kuldeep. Wonderful tips to get facebook likes and I’ll try it for sure. I think sharing our facebook page links on groups is really wonderful idea to get genuine likes. Because we just need genuine fans and followers! This article is very helpful to me to increase my social network on Facebook.I have started a new venture in last week,And every business needs social networking nowadays. And I was searching the most potential way to get it. And I must say that….as you said the last point is most effective way…it was. Glad to hear that, Mohd Arif. I’m also Struggling to get more likes on my facebook Page. I hope this post will help me in future to engage with new likes and followers. Glad to hear that, Priya. By the way, where did you saw this post? Glad to hear that, Akash. Good luck with your new Facebook page. this post very useful for me because I have a facebook.and this articles increase my knowledge about facebook like.thanks share a great tips. Hope these tips will help you get more Facebook likes on your fan page, Jahid. Get more FB likes, Irfan! Thanks for sharing this tip. I know that paying facebook can get anyone facebook likes. But there will be more good if a person add facebook page like box on his blog and write compelling content which make readers to follow his blog on social network. glad you liked these tips to increase Facebook likes. This post was awesome. I think this post will help the newbies to get like for their fb fan pages. Keep it up your hard work. Hey, thanks for the comment, Romjan. Hope you get more FB likes with this post! Thanks for sharing these awesome tips to get facebook likes and I’ll try it for sure. I think sharing our facebook page links on groups is really great idea to get genuine likes. Hope you’ll get more FB likes with these tips, Ashvin. I think i like the last one better (Facebook ads) because you can be guaranteed to get real and genuine likes from people who are likely going to engage with your page content.. But i didn’t know you could get that many likes for less than $10. I think i’ll have to try this.. I just created an FB page for my blog. Only 3 likes so far – lol. Hope these tips will help you in this matter. nice article…very useful in increasing likes and popularity. Good luck with your Facebook page, Shivam. Hope these tips are going to help you increase the likes on your FB page, Sneha. Thanks for commenting and sharing, Raymond. Well, Shawn, just bid on the Facebook campaign with a low CPC. loves the article and all the info. i have been thinking about getting into facebook marketing from so long. just one question, where to buy facebook coupons? fiverr i suppose? Great , Thanks for giving such a nice tricks to get facebook likes. This article is very helpful for readers. Hope this guide will help you get more FB likes to your page, Ankush. I must say you have shared a great challenge and its really easy to get likes from facebook if we do the promotion in creative way. How many likes do you have on your Facebook page, Rajkumar? Hope these tips are going to help you increase the likes on your page, Jagruti. Great article mate 🙂 worthy share I must say. Few of the ways you mentioned are effective which I’m trying with my blog. I’m going to split test the other methods for evaluating results. I believe that it is the best to let my followers, and readers to like the page, rather then buying likes. Because when a person likes your page himself that shows that person is actually interested in the stuff shared by you and this add ore social engagement. You have nicely put all the ways tat people use or can use to improve likes. It’s not “buying” likes, it’s advertising via Facebook, reaching targeted audience, Gaurav. Aside the other techniques, this is one of the most effective one. Such a Great post ever.. its very helpful me to increase my facebook page likes. thanks for sharing your knowledge with us. Hope you can improve your Facebook likes with this post. I always want to get more Facebook like from targeted audience and there are several blackhat techniques like like exchange. I used it to get 100 like and then felt it is of no use. So, I don’t not using any blackhat techniques anymore and started targeting people who really want to like my page and posts. Currently, I use follow tools on my website to receive likes and conversions are very low. But, your techniques are genuine, whitehat and great I’m very eager to implement it to get more likes. Always prefer white hat techniques, Tamil. They are the best long term investment. Thanks so much. I tried the facebook ads for gossipafric.com and it worked fine. Different networks with diverse purposes. Wow… so helpful! Thank you for sharing this out so clearly. Glad you enjoyed the post, Sakshi. How do i get 500 likes pages with a smaller amount of $10 ? With Facebook ads, Lyndsie, I spent 9.08$ for getting 324 clicks (in pay per click model) and 542 new likes for my site. So one like costs me about 0.0167$. I am trying to get more facebook likes through posting useful articles but that is still slow and hard. I used to buy Facebook likes with $5 / 1000 likes but many of the likes are fake. I am not good at using facebook ads. Is it hard and costly? Invest that money in Facebook ads, Vanessa. Thank you for your advice. I will try it. Keep posting helpful posts because I follow your blog for reading. All great ideas. And all would double my current FB page Fan # total LOL. Been asleep at the FB wheel as I focus heavily on other networks like Twitter and stuff like blog commenting and guest posting. Wow, very useful tips here. Actually, I have used some methods above. For now, I have more choices. Thanks anyway. Good luck with your FB page, Mandy. Let me know about your Facebook page. Hi Chris.I must you make a lot of research when you written this articles.I have searched almost 50 site to know how to increase likes for my facebook page.But i did not get any clear information..After read this i thinhk i got my answer and i will follow your steps and hope that my page get also likes more than others. Thanks man for sharing amazing information with us. Good to hear that, Umar. Wow ! this is insane collection of tips to attract FB Likes. What I observed that, Call action images gone viral automatically if they are vector based. Visual appealing images always catch the attention of FB users. What about quotes and facts? Hey Chris, I didn’t even know that was possible. This will definitely help me get those Facebook likes I was looking for. Thanks for sharing this post, its definitely going to help me. Chris nailed it with this post on getting more FB likes, Laura! WOW this is an incredibly informative post. Most of the people who owns fb page(s) are struggling to get their first 500 likes. I think this post is really helpful for them. Usually I used Fb ads to get likes on my pages and sometimes I request my friends to like my page. Thanks for your feedback, Vinod! I hope this post is going to help you grow your FB fan page. Really like your article. Buying like is the worst way. I tried it. After some days they all will left your FB page. Best way to write and share quality content only. Yes, never buy FB fans, it’s useless. Running a contest is the easiest, safe, and fastest way to get people excited and draw new users as Facebook Fans. When I ran a content on my blog, I promoted that on Facebook and added one condition to like us on Facebook to get your entry. As a result, I had seen lots of visitors are liking my Facebook Page and that all happened in short period. Awesome tips. I would add something more. I especially get likes from Facebook groups named as “like 4 like” or also with “Share 4 share ” etc. I bit you can easily reach 500 likes in 2 days with this method. However, you can also try linkcollider which is also working on exchange method. Thanks for adding your tips to get more FB likes, Lasith. It’s great seen that you get 524 Likes for only $9.08. Man can say these days Facebook change they algorithm otherwise you need to do alot of test and succeed with that number. Yeah, it’s kinda bit more difficult nowadays to get the same results, Nelson. Hoping to get my first 500 FB likes & get more followers after implementing these top-notch tips! Running a contest is an awesome idea which many users found intriguing. I think it will work comparatively better than facebook ads. I have already used like box and it works really great to get the target audience instead of using black hat techniques that are of no use. Some of your ideas are completely new for me. Thanks, well done. Good article to know the best way to increase Facebook links. Organic ways are always great to go. This is the great idea for running activity on Facebook and expanding the business. The posted idea of joining various group would surely increasing FB likes and have good impact in the business. Thanks For the sharing the tips. There is one time to buy likes for a FB page. As with every social media channel, it’s hard to get likes if you don’t already have some. It’s like an empty bar. Nobody wants to be first one in. If there’s another bar next door, people will just move on. The best way to get your bar hopping every night right from the start is to offer a few good-looking people a free drink to show up half an hour before you want people to start coming in. When people arrive, the bar won’t look empty. So it can be with social media. If you don’t have enough friends to seed your likes or followers, buy a few to start. Then jump on all these other great methods for every like after that. Thanks for sharing this tips. Though the publication date of this article is far gone but the information in it is still very fresh and useful. I am glad that I found this post through VCB. I will definitely implement some of this tips and I am hoping to get such great result like yours. Thanks once again for the great work. great strategy for Facebook page likes, i really inspired to your Tips and implement to my fb pages thanks for sharing. Very great post.. Gonna be helpful to me so i can increase my facebook page likes, while it’s an offers comparator (Telecom, Insurance and Energy) –> needs much work.